Trade Forex via MetaTrader 4 for iPhone — the world's most functional platform for the most popular iOS powered devices. Choose from hundreds of brokers and thousands of servers to trade with, using your MetaTrader 4 iOS app. 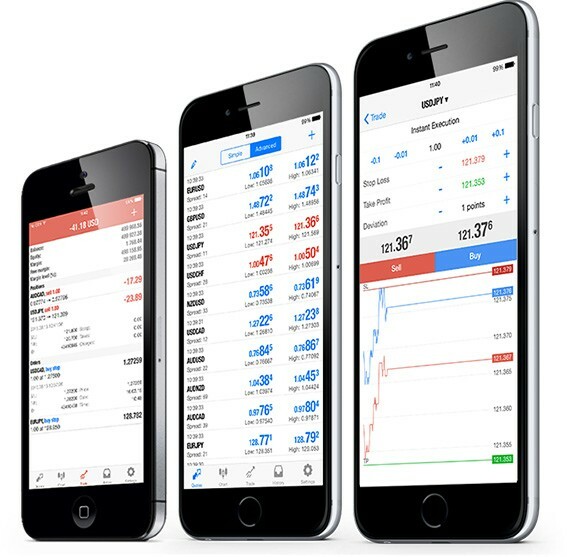 The MetaTrader 4 App for iOS provides outstanding features to enhance your trading activity. The One Tap Trading function allows you to trade on a chart with a single click. Open the quick trading panel and perform a deal in no time! The built-in chat allows you to communicate with any registered user of the MQL5.community — the largest community of traders. 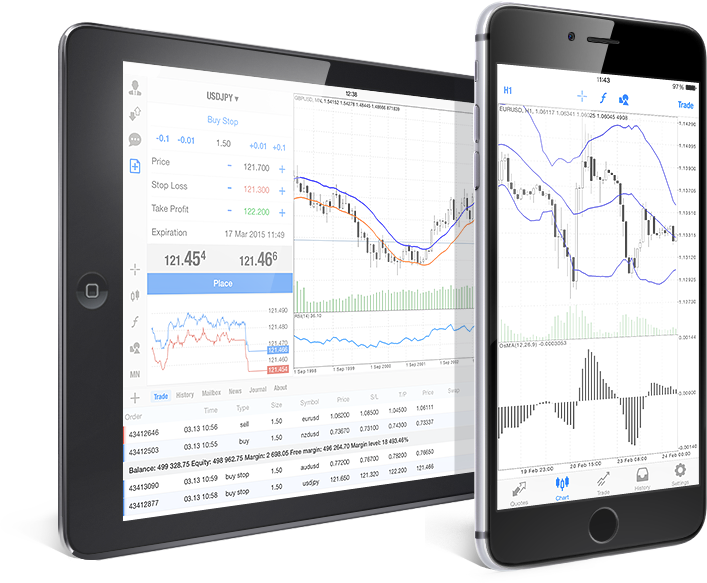 Install the MetaTrader 4 App for iOS to trade Forex conveniently via your favorite Apple device! Trading Forex 24/5 from anywhere in the world — such possibility is are now available with MetaTrader 4 for Apple devices. Download the mobile application for your iPhone or iPad and keep moving!